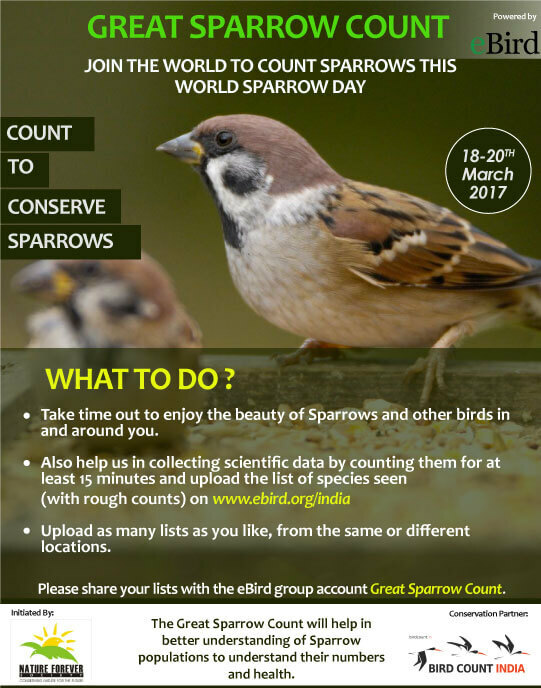 The Great Sparrow Count will be conducted on 18-20 March 2017, as part of worldwide celebrations on the eve of World Sparrow Day. The Great Sparrow Count is a worldwide initiative of Nature Forever Society aimed at counting sparrows across the world. The aim is to document the population and distribution of 24 different species of sparrows found across the world. While everyone has heard about House Sparrows, few know that we have five different species of Sparrows. The idea is to count sparrows to generate information useful in conserving them, including data on distribution as well as year-to-year changes. You can join people across the world this World Sparrow Day to count the sparrows & celebrate them by organising local events. 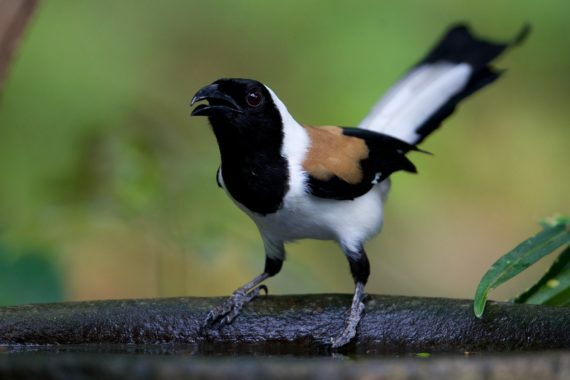 See www.worldsparrowday.org for more details. The basic activity of the Great Sparrow Count is to list not just sparrows, but also all other bird species seen at a particular location over a period of 15 minutes or more, and upload the list to the bird recording platform eBird . This can be repeated as often as is possible at any time during the three days of the count. Please share your lists with the eBird group account Great Sparrow Count. If you are new to eBird, please click here for how to get started.